Contacting your Elected Representatives is the most useful thing you can do right now, and until the final vote in the European Parliament. To get a clear view of the parliamentary process, visit our page ACTA: to keep in mind. To be informed about the next steps to urge Members of the European Parliament to reject ACTA, send a blank email to NOtoACTA-subscribe@laquadrature.net to subscribe to our list. We won't use your email for anything else. 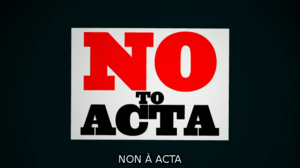 We must ensure they convey all the crucial issues raised by ACTA. Call their members and tell what you think of ACTA and that you want their report to convey your opinion as a citizen. On each of the many steps of the parliamentary procedure, we need to be as many as possible to call the Members of the European Parliament so they understand how important it is to European citizens that ACTA is rejected, and why it is so dangerous. To easily get in touch with the right Members of the European Parliament, you can use our PiPhone. You can enter your phone number in the PiPhone webpage and be called back (free of charge) and connected to a Member of the European Parliament. If you enter your contry, you will be connected to an MEP from your country, and speaking your language. The PiPhone makes calling MEPs very easy, and is a great solution for those who can't afford to make international phone calls to Belgium. If a question to which you don't have the answer comes up, don't panic. You are not expected to be an expert, only a concerned citizen. Tell the MEP you will research the answer and call back with more information, and come and ask us. If you're still not comfortable with the arguments, don't give up. 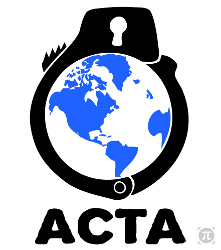 Ask what is the MEP's position on ACTA, and ask what are their arguments. First of all, get comfortable with the arguments (don't hesitate to try them out on your friends, your family etc.). Select a MEP representing you from the ones of the Committees working on ACTA (currently the INTA Committee) and dial their number. When you call, you will most likely reach a parliamentary assistant, they are usually bright and polite people, treat them accordingly. Being polite and calm, tell them about your concerns, asking them to take part in the parliamentary debates and to take a stand against ACTA. Rinse and repeat: pick another MEP's number and call them. Report back your call and the MEP's position to La Quadrature (It helps target specific MEPs during the campaign). See an example phone call of how a conversation with an MEP assistant might go.